Today is the historic vote in Minnesota where the Minnesota House of Representatives will vote on the freedom to marry legislation (HF1054). It is an exciting day for sure. Whether this legislation passes or not (it will, it will, it will) I got this little sweet note that my mother in law wrote to her representative. She is faithful and funny, loving and honest. This is my family. I am lucky. Thank you for taking time to serve in the Minnesota legislature. As one of your constituents, I urge you to support SF925/HF1054 when it comes to the floor for a vote. 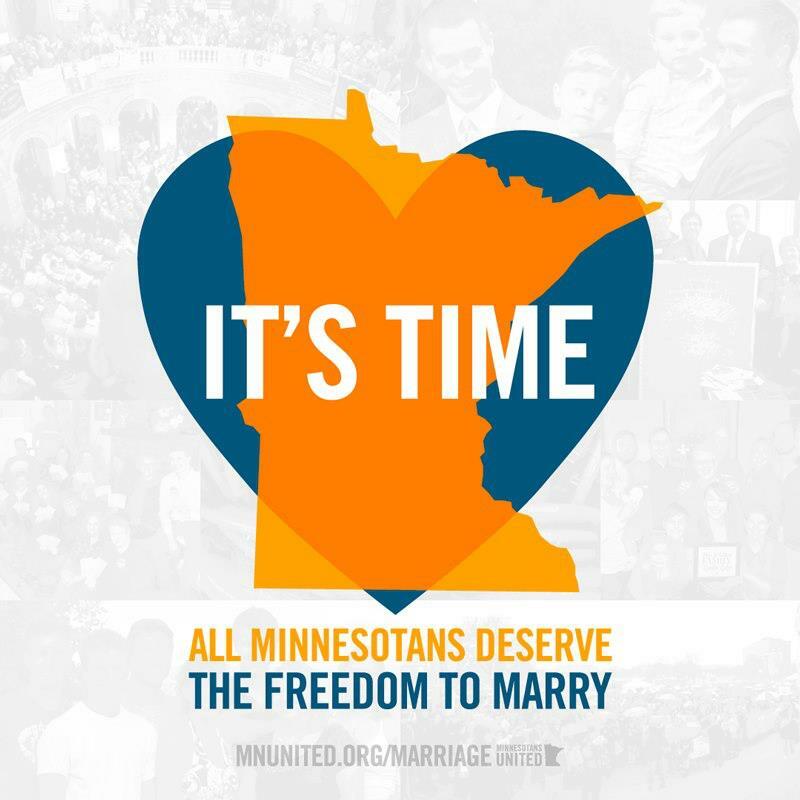 All Minnesotans deserve the freedom to marry the person they love. My Catholic Archbishop urged me to write to you regarding your vote, and I am happy to ask you to vote for the freedom to marry the person one loves. My extended family will celebrate with our daughter, Karen, and her partner, Rachel, when they are able to be legally married in MN. Do you live in Minnesota? Have you written your representative yet? There is still time. Please do.